Oh, and if you learn ANYTHING from our reviews… do NOT add water or ice to PVW23. That seems to be the death knell for this tasty tipple. The nose does take a solid few moments (minutes more like it) to open up, even in a glencairn glass. Neat, the nose is like eggnog. Think baking spices over custard and cream. There’s a bit of charred oak under the sweat cream. It’s soft it hits the tongue, like the velvet bag that is home to the bottle. 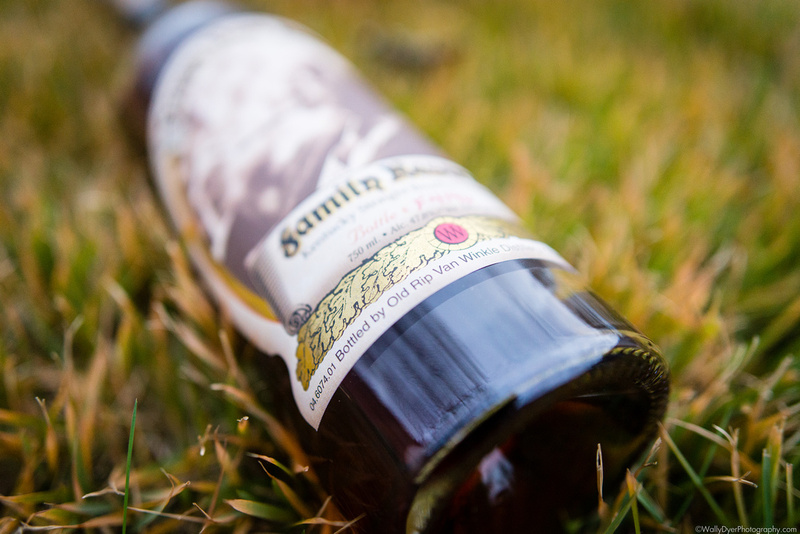 It quickly ramps up to a layer of fiery oak. As soon as the oak makes its bow, caramel and cream venture their way to the front of the stage. There is just a hint of charred oak and light cinnamon lingering behind them giving it all that eggnog appeal. The finish is light with the most faint trails of astringency in the mouth. It’s REALLY good. Let’s add water to the unicorn even though it is easily managed neat even at 47.8% ABV. The nose changes a bit and reverses the palate without water. It becomes more oaky and the cream gets buried. This is interesting. The palate becomes an oak monster. Again, the cream still hangs around in the background but it really gives way to some over-oaked notes. For all of the folks who claim that the PVW23 is past its prime, I wonder how many of them poured it over ice or prematurely added water. There’s a reason you don’t pour water on a unicorn. The color is a deep mahogany. It reminds me of making caramel but starting with brown sugar first and then going almost to being burnt but pulling it off the stove. Reddish hues dance in the glass. You can really see the red when it’s placed next to ordinary whisky. On the nose, upon swirling the glass, that caramel that we were talking about, enrobes a red delicious apple. Vanilla whipped cream, piped on a custard pie. Brown sugar and a little oak resin mix with nutmeg and very very extremely light mint. There is oak, but it’s not the overwhelming oak monster that one would expect after 23 years of sitting in a barrel. The nose is so gentle, sweet and round. Shortbread cookies with a citrusy marmalade. 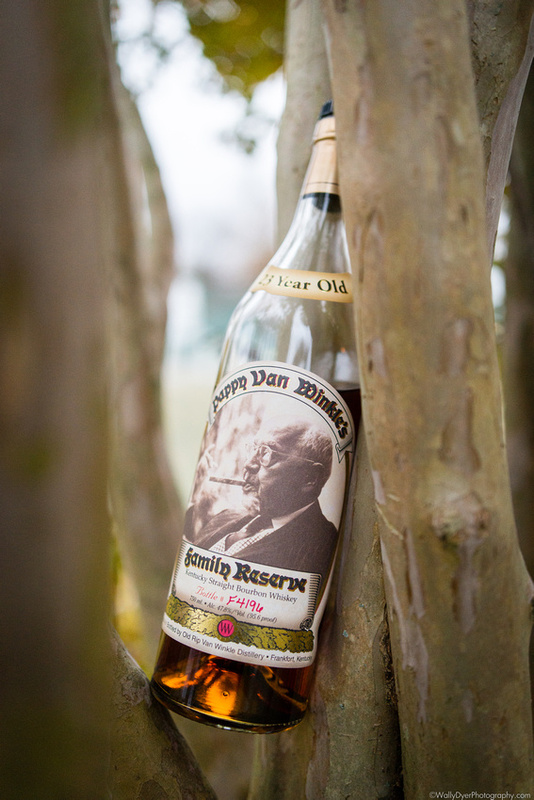 As soon as the oak wafts in, the sweetness and spice and everything nice, pushes back and balances the bourbon. My initial sip is slightly astringent, no alcohol bite even though its 47.8%, and then come the support team to bring happiness to the land. Creme brûlée all day baby. Buttered biscuits with citrus and vanilla double cream. If you haven’t had double cream in your life, it’s basically butter mixed with cream, creating an amazingly rich double cream that you spread on things like scones and biscuits. 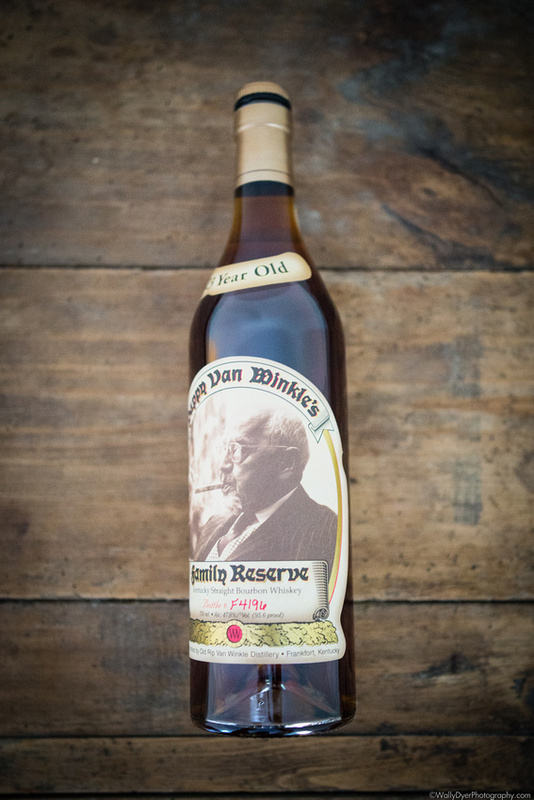 My second sip now starts off with the sweetness and vanilla that you nose in the glass. Swirling the mix in my mouth, that light mint comes forward with a rich spice on the front of the tongue. The oak shows it’s teeth along with some floral notes, like rose hips and creates a delicious sweet herbal mix. What a delicious bourbon. After adding a scant capful of water to the bourbon the nose goes cold. 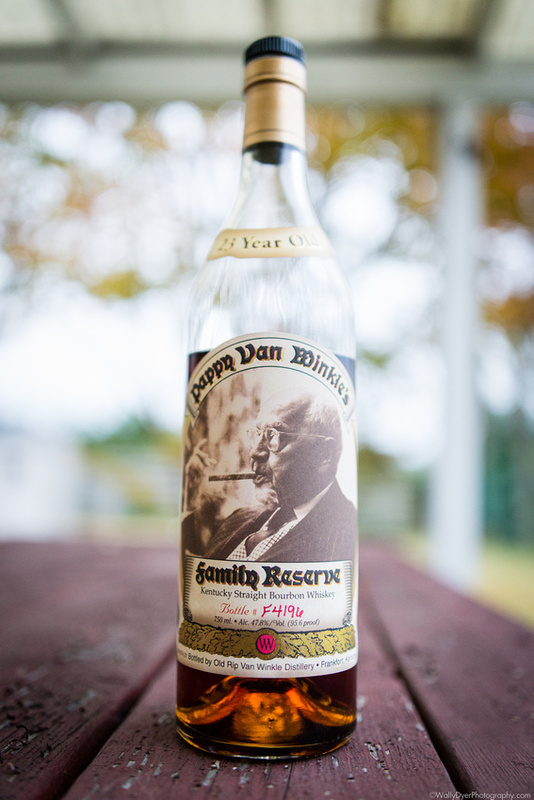 The blast of flavors that I initially smelled neat, mellowed, as well as the palate. I completely agree with Sniff that this is when the Oak monster rises from the depths of the earth and unleashes his earthen roots on us all. The astringency turns me off and I regret ever adding water to this. The sweetness has died down as well as roundness and becomes a tad harsh and sharp. 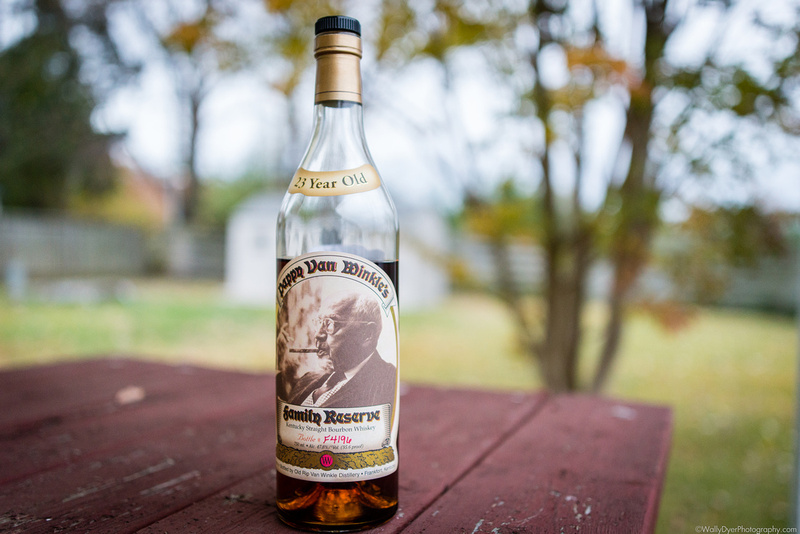 If there is anything you learn from this review, drink Pappy 23 year neat. Any addition of water, either through ice melting or by way of dropper, buries the good stuff and brings out the nasty side of things. Sniff brought up the mention of cost and worth. I would agree with him that $1000 should be the upper limit of what this stuff should be able to fetch, but I’ve recently seen auctions sell bottles into the $2000 range. All I know is, I could buy a lot of great bottles of whisky with $2000 or even $1000. You and the friends you share it with will love it! 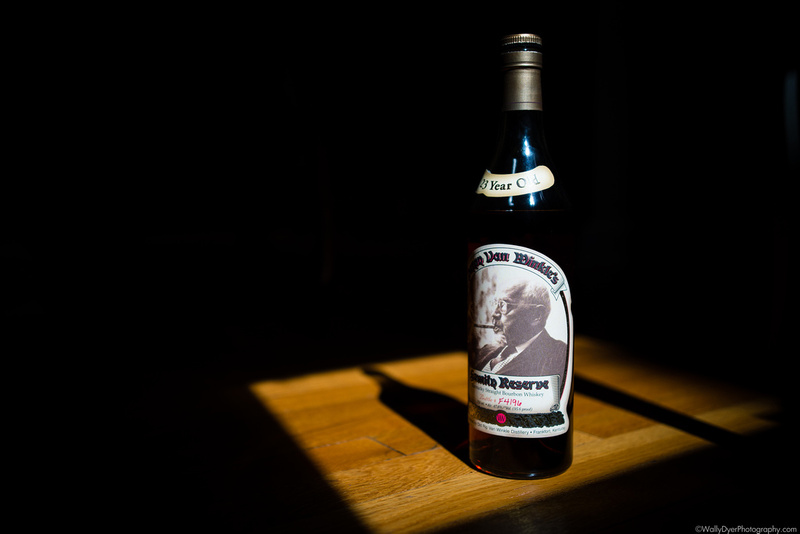 I really wish more people talked about this sad part of the bourbon. Otherwise, it’s a tasty dream!